From - Manchester Evening News. Saul Nyland, 25, from Whitworth, Rochdale, used social media to torment his 31-year-old victim, who has a severe speech impediment and some physical difficulties caused by a childhood accident. In a personal statement to the court the victim said the abuse was ‘destroying his life’ and affecting his relationship. He also said he had stopped going out because of the taunts. Nyland, a construction worker, was sentenced to six weeks in prison after pleading guilty to two counts of harassment at Liverpool magistrates court. Lionel Cope, from Mersey-Cheshire Crown Prosecution Service, said after the hearing: “Nyland targeted the victim and harassed him because of his disability. “He subjected him to a tirade of abuse online including posting a number of Photoshopped images of the victim which were hugely upsetting to both the victim and his partner. “When the victim blocked Nyland online, he began ringing the victim on a nightly basis, mocking him for his disability and threatening to harm him. 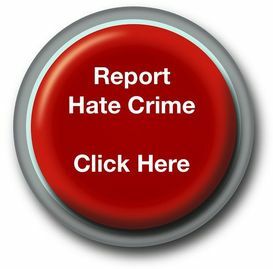 He added: “Hate crimes will not be tolerated - they are malicious, create fear and ruin lives. The victim, who is employed in the construction industry as a plant operator, had worked alongside Nyland on several sites in the past. He had set up a number of Facebook pages offering advice and information about diggers and tractors which attracted a number of followers. Nyland had an extra two weeks added to his jail term because the case was prosecuted as a hate crime. He was also ordered to pay an £80 victim surcharge and a given a two year restraining order.